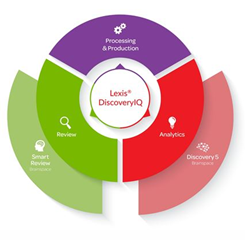 The Lexis® DiscoveryIQ platform challenges the traditional model of “linear review” – in which information flows from one stop in the eDiscovery process to the next – by reimagining the role of early case assessment as the key to eDiscovery. LexisNexis® Legal & Professional today announced the availability of Lexis® DiscoveryIQ, a new eDiscovery software platform that disrupts the conventional eDiscovery workflow by placing an emphasis on early case assessment and the use of advanced visual analytics. The benefits for litigation teams are earlier insight into litigation data, better litigation strategies and reduced costs of litigation. Ms. Blair was one of the participants at a featured panel session at LegalTech New York 2016, “The Future of eDiscovery: An Analytics Revolution to See Your Case More Clearly,” which was hosted by LexisNexis. Lexis DiscoveryIQ was initially unveiled to the legal market in February at the LegalTech® conference, where the product generated significant buzz and was profiled in media outlets such as KM World and Legaltech News. “In conversations with both in-house and outside counsel, we consistently heard that what they really wanted to see in eDiscovery software tools was a greater focus on the role of early case assessment,” said Steve Ashbacher, vice president of litigation solutions with the LexisNexis software and technology business. 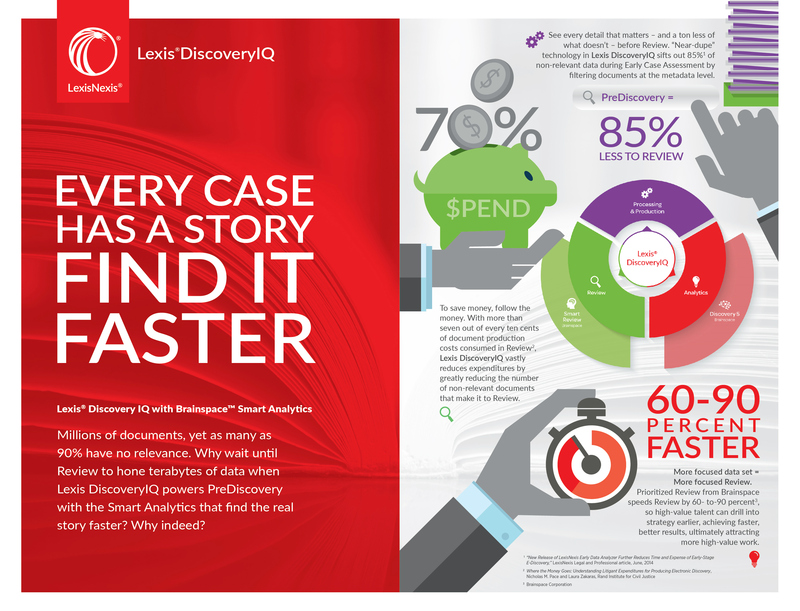 Lexis DiscoveryIQ was developed on the award-winning LexisNexis Early Data Analyzer software product, renowned for its speed, performance and scalability. 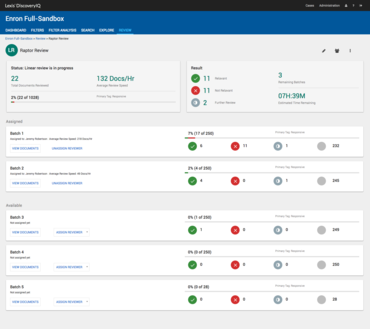 This approach allowed the LexisNexis team to focus on the PreDiscovery phase by building on a solid foundation of powerful early case assessment tools and then integrating predictive coding, data analytics and smart review tools throughout the workflow. While the platform is engineered for the demands of large cases, it is flexible and scalable enough to be used in a wide range of matters. The new platform is enhanced by a unique relationship with Brainspace Corp., a recognized leader in data analysis. Advanced visual analytics developed by Brainspace Corp. are embedded in Lexis DiscoveryIQ, incorporating prioritized “smart review” technology that accelerates the process by as much as 60 to 90 percent. LexisNexis Software Solutions provides law firms and legal departments of all sizes with world class business of law and litigation software tools. Our innovative software and mobile solutions include competitive solutions for eDiscovery, case analysis and presentation, enterprise legal management (ELM), customer relationship management (CRM) and practice management.